We have together created so much beauty in the English Cemetery. Take a walk with us amongst our purple irises - which are Florence's lily. The main avenue of which the right side is about to be destroyed. Newly restored tomb to the right was placed by Mary Somerville for her husband William. She discovered two planets, taught mathematics to Ada Lovelace, Lord Byron's daughter, who, with Charles Babbage, invented the computer. Elizabeth Barrett Browning, Lord Leighton copying the iris which is Florence's lily for the tomb motif. Left side of central avenue. August Mannerheim, Finland. Top left of central avenue. James Lorimer Graham, American Consul, top right of central avenue. Southwood Smith, beginning of left avenue. Ann Susanna Horner. Left of central avenue. Arthur Hugh Clough's tomb and the last standard rose left of an avenue of these on right of central avenue. But all this is now about to be destroyed. In January the Cemetery will be shut down, the digging will start and concrete loculi for the burial of ashes placed everywhere. Can you write a letter to the Swiss Evangelical Reformed Church to be copied to the Belle Arti which judicates concerning historical monuments, saying that the 500 modern concrete loculi amongst the 700 historic tombs that remain of the 1400 burials here will destroy the atmosphere of the place. Explain that you understand the Swiss need the funding for the Cemetery these loculi for the burial of ashes would give but that they need to be placed with sensitivity for the historic and artistic importance of this place. Request that the work be carried out first on one side, then on the other, allowing the Cemetery to still be visitable. Request also that the 42 loculi planned along the right side of the avenue blocking access to Arthur Hugh Clough's grave and destroying the symmetry of the very beautiful central avenue be placed elsewhere in the Cemetery. Specify also that the tomb slabs for the new graves be simple and in marble, so as not to clash with the historic monuments. Send the letters to this address in e-mails or by post and I will deliver them to the Swiss Church which owns the Cemetery and to the Belle Arti. 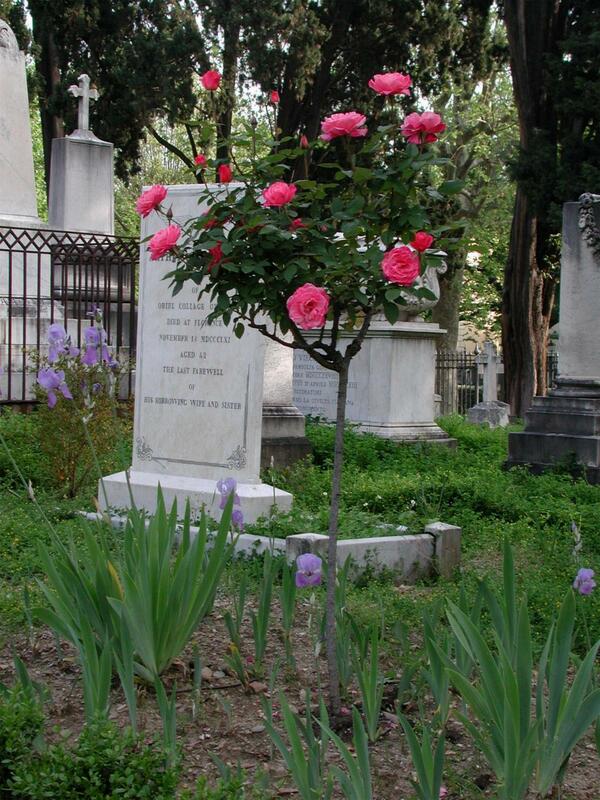 'That the Swiss-owned, so-called 'English' Cemetery in Florence be kept open, be restored and be declared a UNESCO World Heritage Site', and with 4150 signatures in-house from our visitors, for a total of 5632 signatures. We have decided to keep them coming.